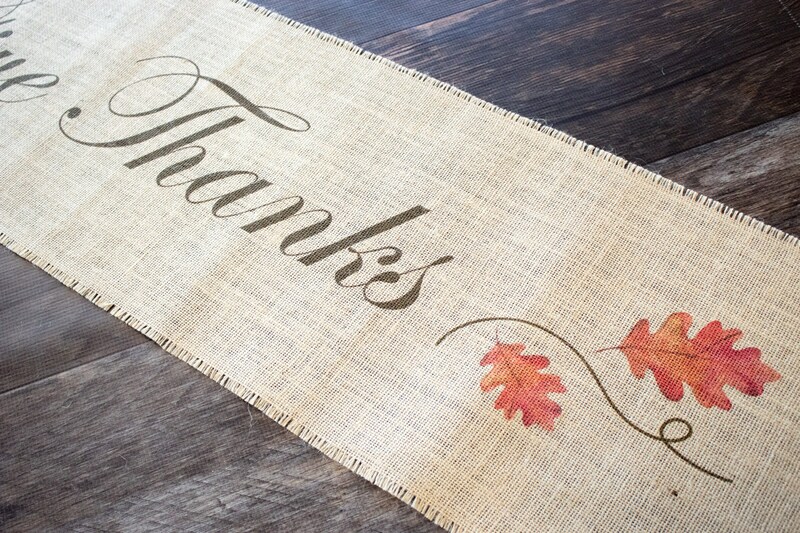 Oak leaves fly across this table runner in all their autumn colored glory! 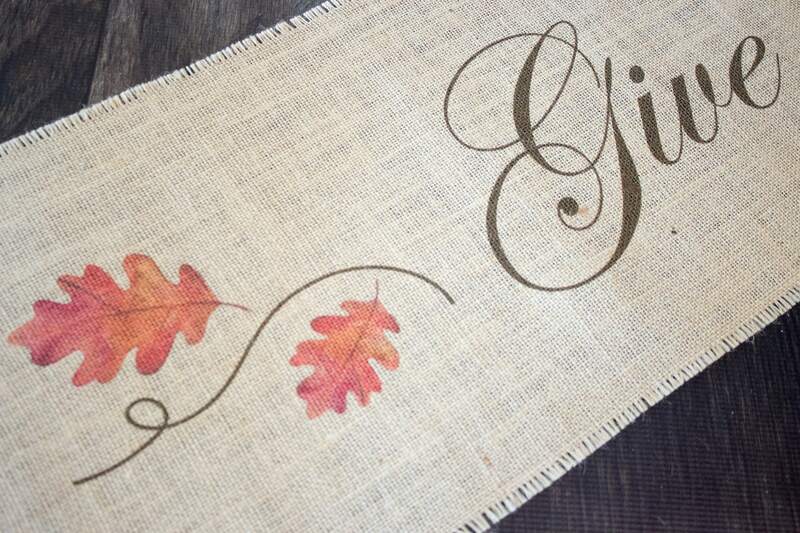 Pumpkin spice, hay rides and fall colors. 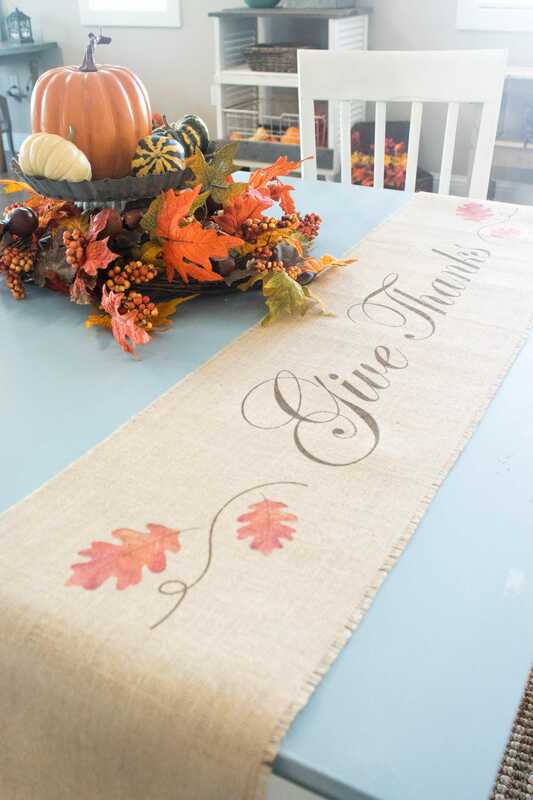 What better way to enjoy the changing season then with family and friends around the dinner table? 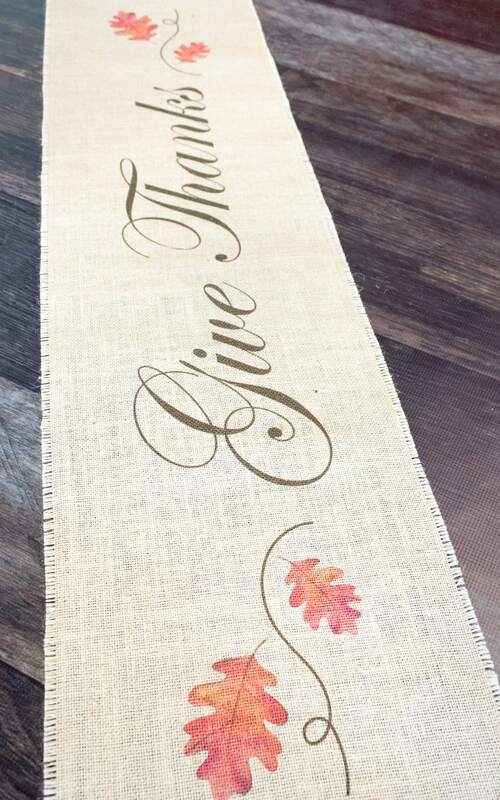 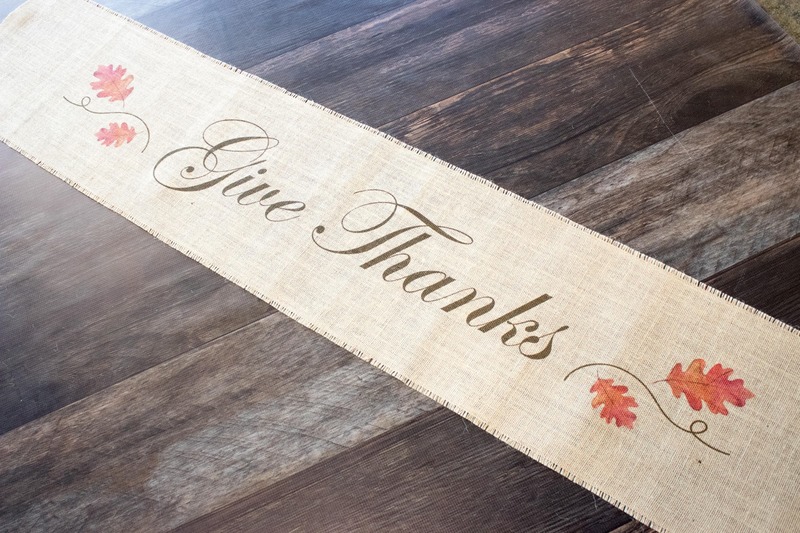 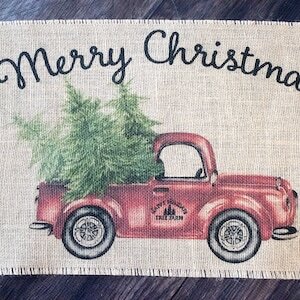 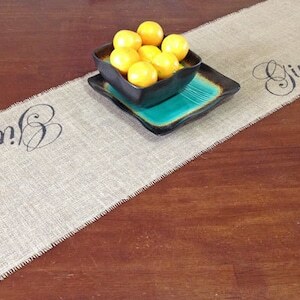 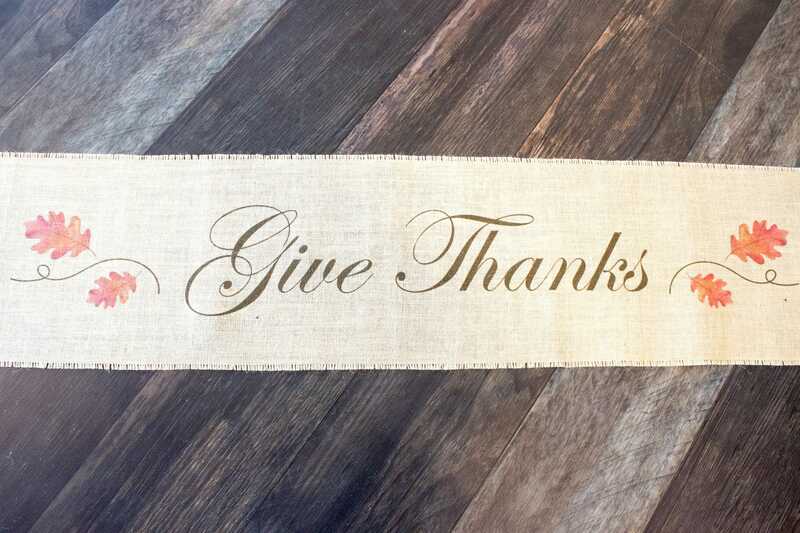 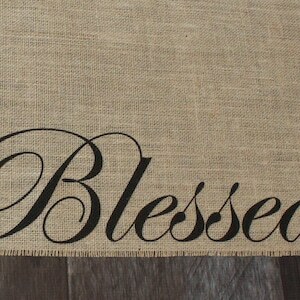 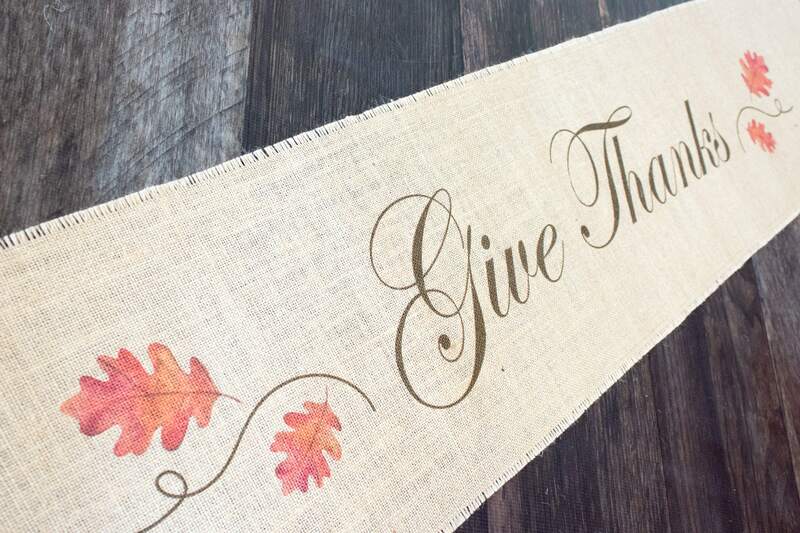 This harvest themed, burlap table runner features "Give Thanks" centered in large brown script with Oak leaves on both sides. 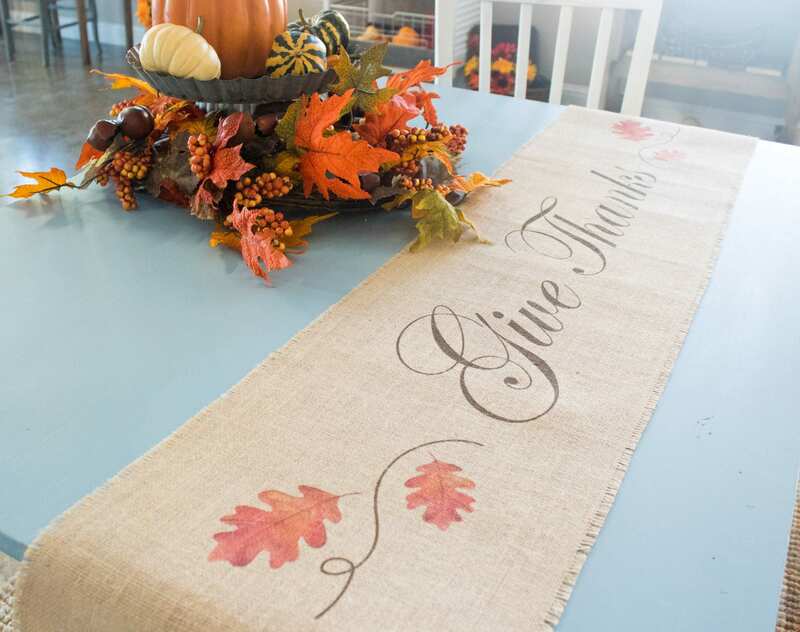 It is certainly perfect for Thanksgiving, but is easily enjoyed for the entire season!